Photo: Deutsche Bahn AG / Barteld Redaktion. 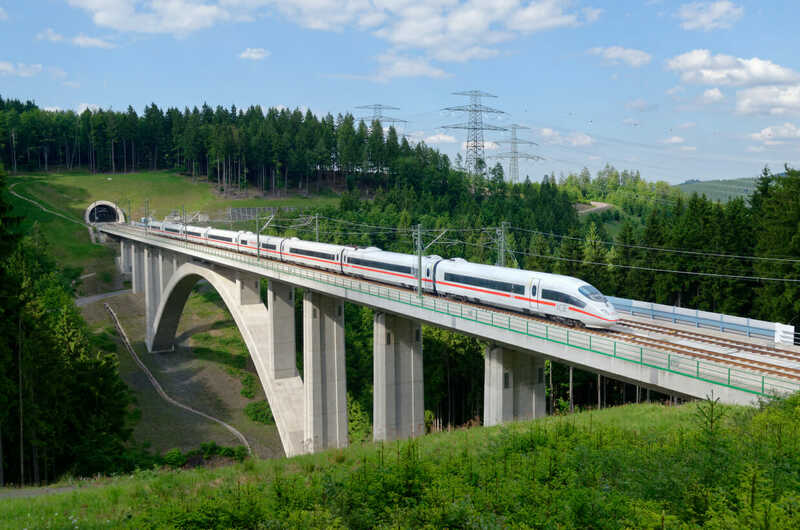 Deutsche Bahn (DB) has launched a new 300 km/h ICE service between Berlin and Munich which will cut journey times between the two cities by up to two hours. The December 10 timetable change marks the end of one of the country’s largest railway projects. 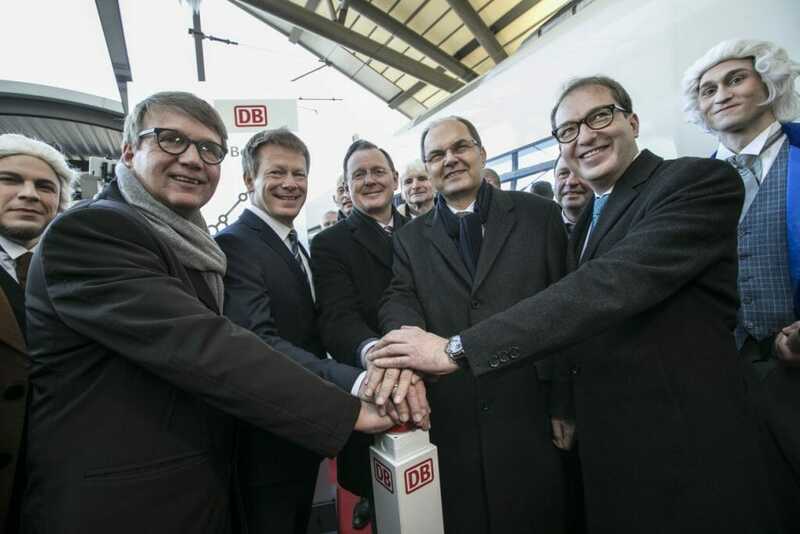 Around €10 billion has been invested by the German government to improve rail links between Berlin and Munich. DB will now operate 35 ICE Sprinter trains each day on the new route. DB believes it can double its market share on the route and overtake air travel as the preferred means of transport between the two cities. DB described this year’s timetable change as the biggest in its history, affecting a third of DB’s long-distance services. Photo: Deutsche Bahn AG / Pablo Castagnola. The inauguration in Berlin was attended by German Chancellor Angela Merkel and Federal Minister Christian Schmidt. A series of other events were held at four other stations along the 500 km route. In 2006, DB completed an upgrade of the railway between Berlin and Halle/Leipzig. Over the following 10 years, it delivered a combination of new and upgraded routes between Nuremberg, Erfurt, Leipzig, Halle and Berlin as part of the German Unity Traffic Project No. 8. The final section of new line between Erfurt and Ebensfield, which closed a gap in the German high-speed rail network between Nuremburg and Erfurt, was completed earlier this year. Photo: Deutsche Bahn AG / Claus Weber. Federal Minister Christian Schmidt said: “The largest of all German Unification Traffic Projects has now gone into operation. We have reached the finishing line of a marathon race that began back in 1991. “High-performance infrastructure in all parts of Germany is an essential requirement for the unity of our country. That is a terrible speed for a new built line. London to Edinburgh is 400 miles so about the same distance and it currently doing the run in about 4hr 20 (although I remember sub 4hours trips not that long ago) whilst many of the locos are over 40 years old on this route. The Ice trains have an operating speed of 300kmh compared to 200kmh on the East Coast mainline. Frankly I was expecting a new line between Munich and Berlin to reduce the time to under 3 hours, probably even under 2hours 30mins for most services. Then the train gets 95% of all trips on this important route. Surely this is doable with the current rolling stock, so it must be a very low speed line that has just been built on the cheap. We all berate the UK network, but if this is the best the Germans can do on a new build line then they are either terrible route planners or have built it really cheaply with loads of links and pinch points because they do not believe in the train.